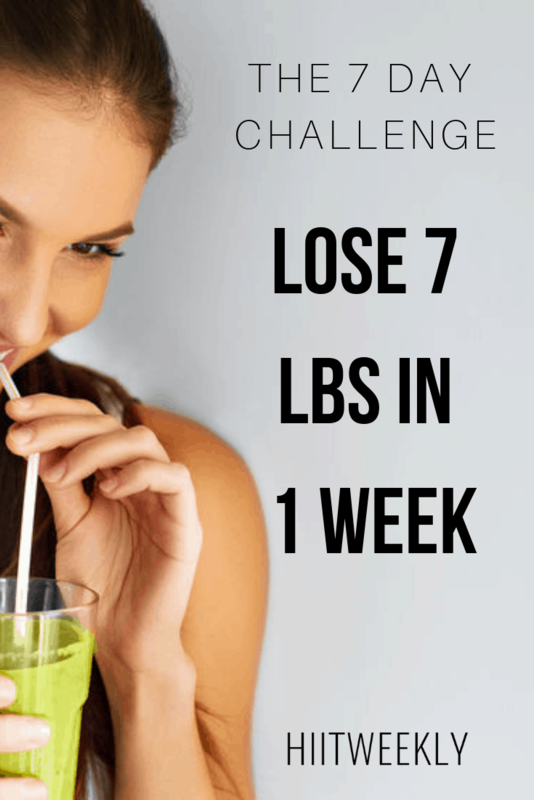 It's time to lose some weight, I challenge you to lose 7 pounds in the next 7 days and I'll even give you all the tools you need to get the job done. Let's get to it. We want to help you shift some weight fast to get you started on your weight loss journey. Something like this is hard to come by where everything is laid out for you for absolutely nothing. It's something I would charge my clients up to $150 if you included the 121 training sessions, time and resources spent making and designing such a plan. Without paying, to my knowledge there are very few if any programs like this that gives you the specifics to lose weight in a week. Luckily I'm going to share all that with you for absolutely nothing. Just because I can. So I hope you enjoy it and give it your all. Here's how it's going to work. I'll run through some basic tips and tricks that you'll need to start doing to accelerate your weight loss before giving you the diet plan and workouts. 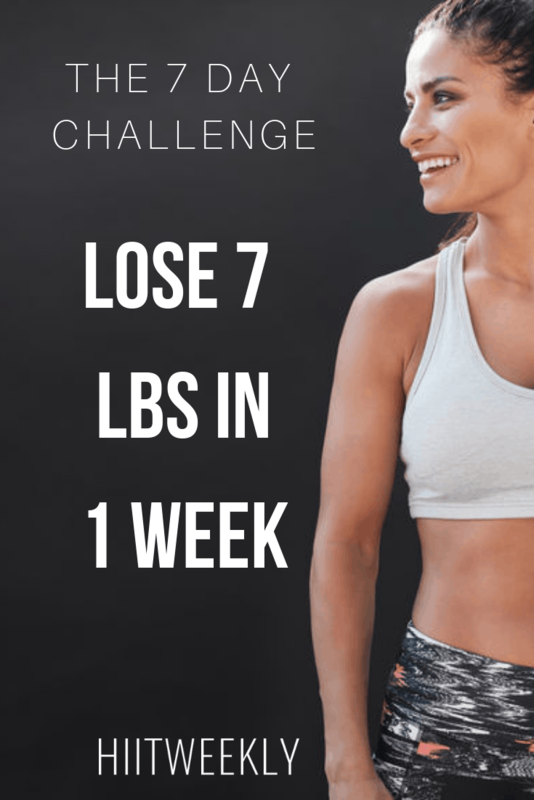 It's going to be very basic but then this is the free version but I promise you it will be super effective and just what you need to lose upwards of 7 pounds in the next 7 days. From now and the next 7 days you will not allow anything processed or artificial pass your lips. These foods tend to be very high in toxins and saturated fats which will make you store unwanted fat. You should be able to know whether or not a food is processed but when in doubt check the ingredients label. If the product in question has more than 3 ingredients its likely processed. The exceptions would be if it was a pre marinade chicken breast or almond milk for example. The only foods you can consume must be in their whole natural form. The closer to that the better. It's just 7 days, you are welcome to schedule in a cheat meal at the end of your 7 days, after your weigh in of course. Your meals should consist of a protein source such as eggs, salmon or chicken, some vegetables and perhaps some dietary fat from avocado. Alcohol will stop you from losing weight. When you consume alcohol your body will temporarily stop metabolising other nutrients such as fat. It also hinders the absorption of nutrients such as proteins, important for muscle repair after your HIIT workouts. For the next 7 days, no more alcohol. Save it for day 8 if you must. Being tired is linked to increased hunger, something you will want to try to avoid during any weight loss challenge unless you are extremely strong willed. Lack of sleep also alters your levels of Cortisol, a hormone that will make you store belly fat. Raised levels will not help you get rid of belly fat, that is a given. So try your best to go to bed a decent time. I feel like your parents, sorry. 7-8 hours is usually a good start, only you know how much you really need. Our main mission is to make sure you get enough sleep so you wake up feeling energised and ready to have a great day. Yes, the carbs need to come down. For fast fat loss we need to get your body burning fat and lose some water weight from the stored glycogen. Removing or reducing your carbohydrate intake including sugar you will give your body a great chance to start burning fat as its primary fuels source. Our diet does still allow carbohydrates with one meal a day, ideally on training days. This will be explained more within the 7 Day Challenge itself. You can reduce your calorie intake by eating less and increase your activity levels to burn more calories. In the 7 day Challenge we do both to maximise your weight loss potential. As well as the High Intensity Interval Training workouts provided in the 7 Day Challenge I want you to walk for 45 minutes a day. The aim of the walking is to let your body free up fat cells and use it for energy. Ideally you will walk in the mornings for the sole fast that once it's done its done and you won't have to worry about doing it after work or school, you can just concentrate on your food. Lastly on our top tips for fast weight loss is to make sure you are getting plenty of fluids from water. Being well hydrated will allow your body to function better and thus metabolism energy more efficiently. You'll be more focused and have more energy which will led to better workouts and less temptation to eat bad. Aim for 2-3 litres of water spread throughout the day. So there's a catch, to access the diet plan and workouts I need you to pop your email into the box below and subscribe to my weekly email updates where I send you weight loss tips, workouts and recipes to help you lose even more weight. I won't bug you too often. Ill then send you the workouts and diet eBook so you can get stuck into the 7 Day Challenge. All of the info about the diet is outlined within the 7 Day Challenge eBook as well as the workouts you'll be doing. Help others lose weight and pin share this on your socials!